Meet Denver Nuggets Dancer, Hannah. 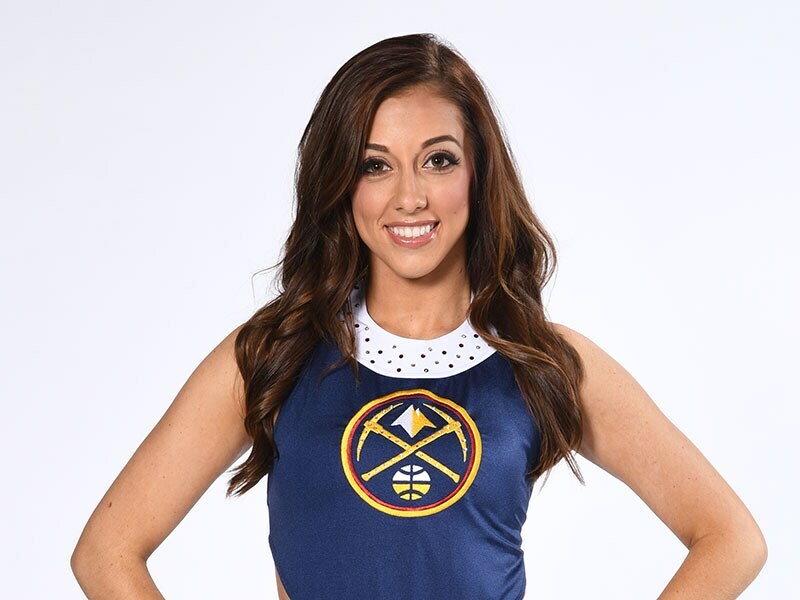 Meet Denver Nuggets Dancer, Haley. Meet Denver Nuggets Dancer, Rachael. Registration is now open for the DND Juniors Dance Program. Register here. A behind-the-scenes look at this years final DND audition and the new team. 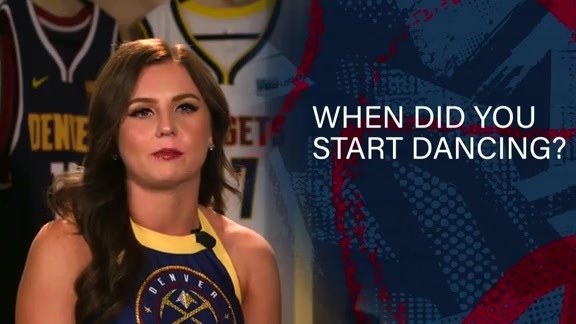 Nicole Sharpe interviews the Denver Nuggets Dancers at the Mile High Dreams Gala presented by Shane Co.
Take a look back at a week of DND auditions and the announcement of the 2017-18 squad. Over 100 women from all over the country showcased their best skills at the 2016 Denver Nuggets Dancers auditions! Recap the Denver Nuggets Dancers performances during the 2015-16 season! DND will begin auditions for the 2016-17 season on Friday, July 15. For more information please see 2016-17 Audition Info. 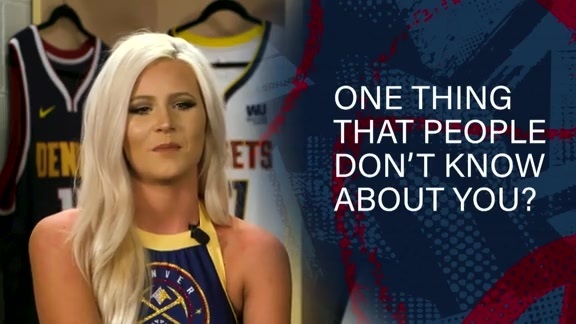 Preparation is key when it comes to being a Denver Nuggets Dancer. Get an insider's look at what to expect from the 2016 DND audition prep classes! 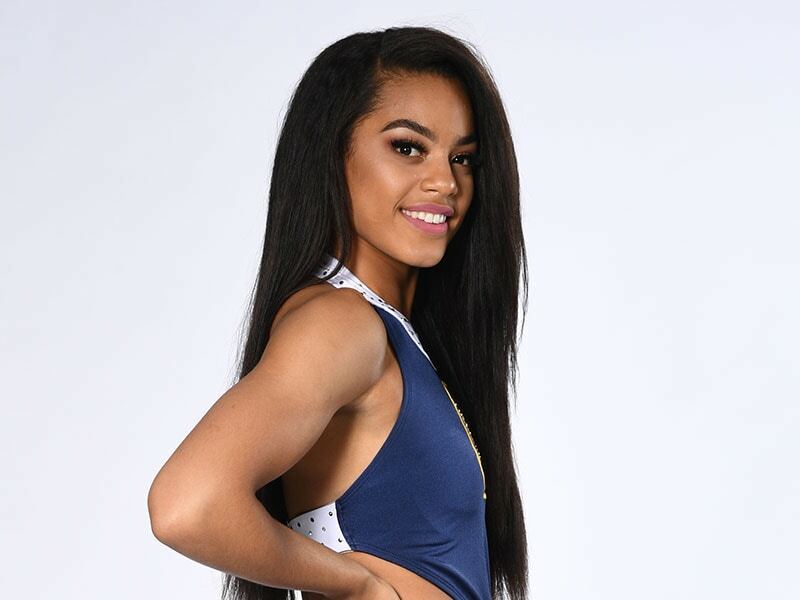 Tera is joining the Denver Nuggets Dancers for her rookie season. Nikki is joining the Denver Nuggets Dancers for her 4th season. Kristin is joining the Denver Nuggets Dancers for her rookie season. DND Video Bio: Kelsey C.
Kelsey is joining the Denver Nuggets Dancers for her third season. Alisha is joining the Denver Nuggets Dancers for her 2nd season. Minnie is joining the Denver Nuggets Dancers for her rookie season. 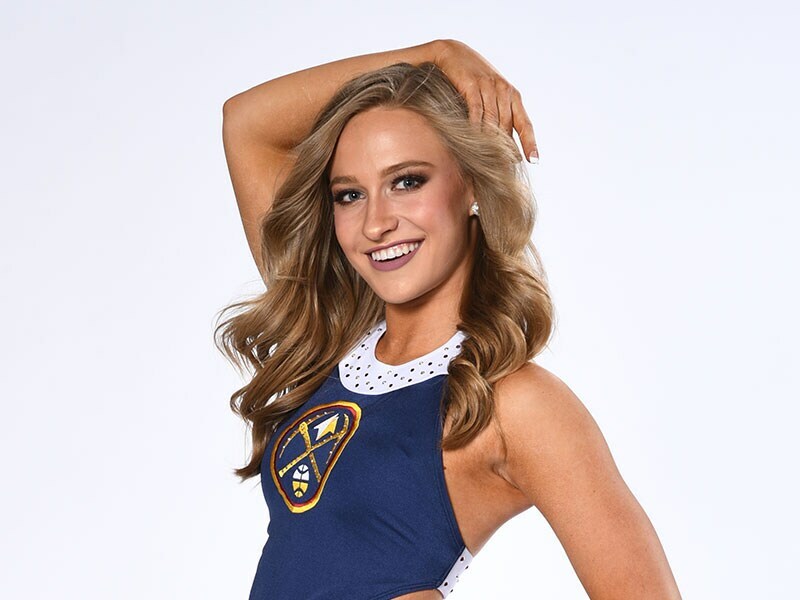 Sydney is joining the Denver Nuggets Dancers for her rookie season. Alicia is joining the Denver Nuggets Dancers for her 2nd season. 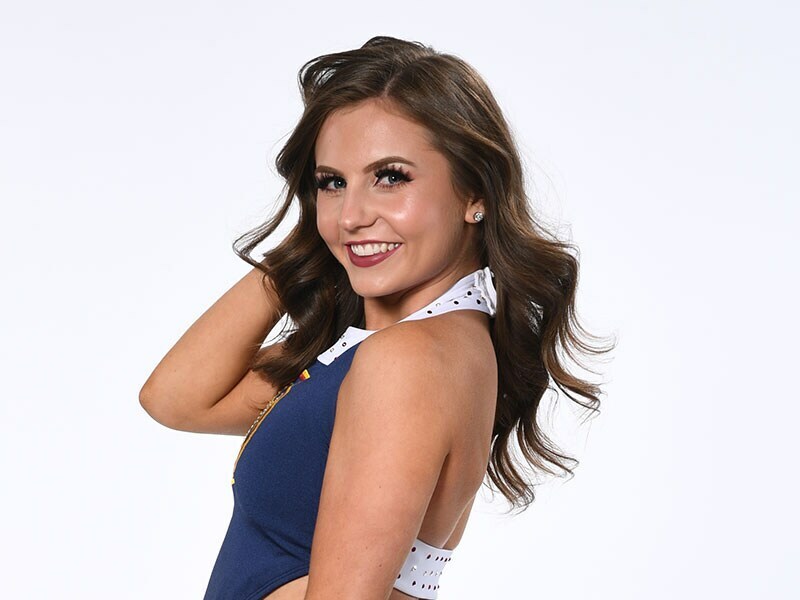 Haley is joining the Denver Nuggets Dancers for her 2nd season. Lynn is joining the Denver Nuggets Dancers for her 2nd season. DND Video Bio: Kelsey T.
Kelsey is joining the Denver Nuggets Dancers for her 2nd season. Haley is joining the Denver Nuggets Dancers for her rookie season. Dee is joining the Denver Nuggets Dancers for her rookie season. Ashlee is joining the Denver Nuggets Dancers for her 3rd season. The 2015-16 Denver Nuggets Dancers were introduced to the hometown crowd at halftime of the Nov. 9 game at Pepsi Center. 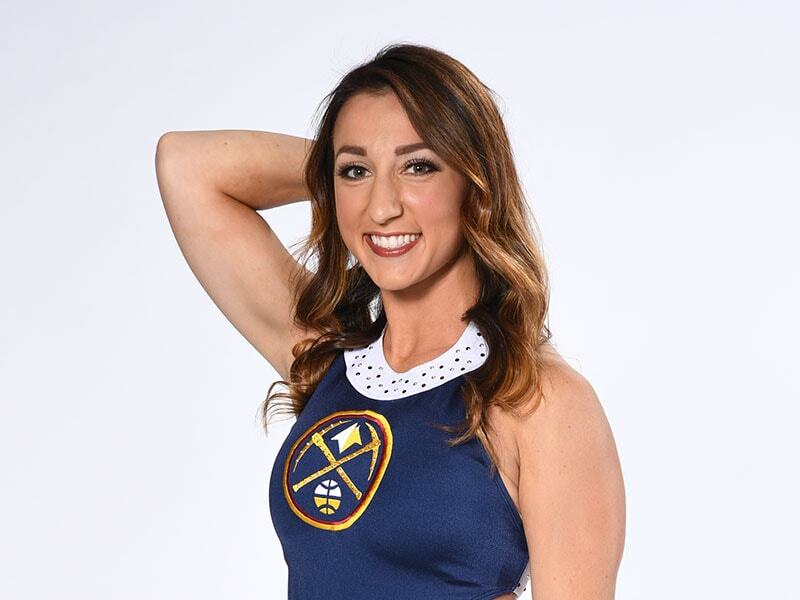 Becca is joining the Denver Nuggets Dancers for her 5th season. Ariel is joining the Denver Nuggets Dancers for her 3rd season. Allie is joining the Denver Nuggets Dancers for her 3rd season. The DND Juniors program promotes teamwork, builds self-esteem, and develops self confidence in young dancers. 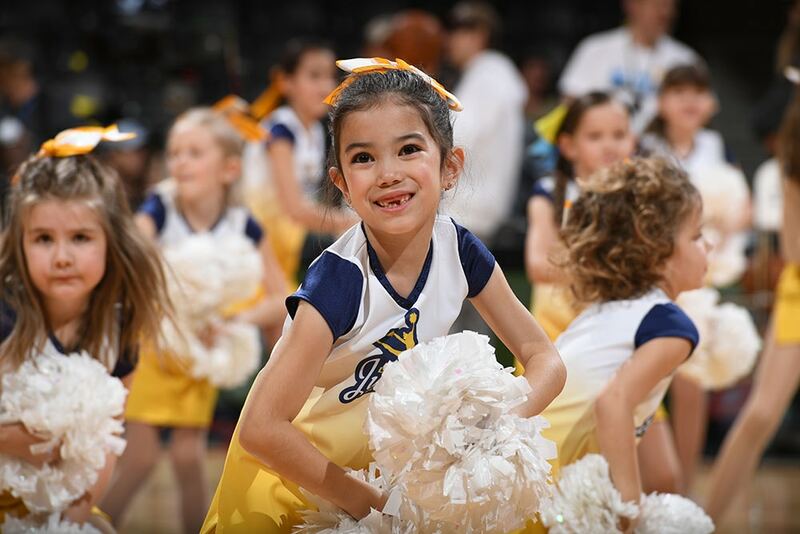 Female participants, ages 4-14, will train with current members of the Denver Nuggets Dancers and will perform at 6 Denver Nuggets home games throughout the 2018-19 season. Can't get enough of the Nuggets Dancers? Add some sparkle to your next event! The Nuggets Dancers are available for public appearances throughout the year. Please contact Amy Jo Wagner at 303.405.1206 for booking information. If you're curious about what it takes to be a Nuggets Dancer, here's everything you need to know.